Trump's DOL: Employees' Protections Down the Drain | Kalijarvi, Chuzi, Newman & Fitch, P.C. The Fair Labor Standards Act (“FLSA”) establishes, among other things, overtime pay standards affecting employees in both the private and Federal sectors. 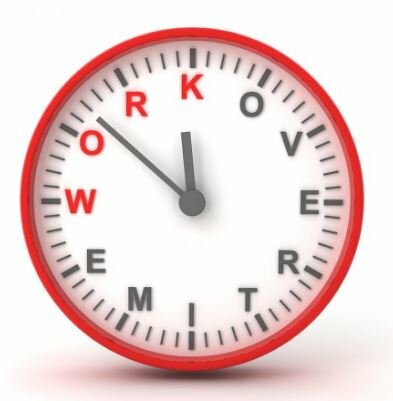 Workers covered by the FLSA must receive overtime pay (their hourly rate plus an additional 50%) for each hour they work after 40 hours of work in a workweek. The Department of Labor (“DOL”), Wage and Hour Division (“WHD”) enforces the Federal overtime pay requirements of the FLSA. Historically, interested parties could ask the WHD for official written explanations (“Opinion Letters”) of what the FLSA requires in certain fact-specific situations. In an Opinion Letter, the DOL indicates whether a particular business practice complies with the FLSA. This process, however, largely served the interests of employers: it gave them a legal defense that their practices comported with what the Opinion Letter says, even if the DOL’s guidance in the Opinion Letter was wrong. Specifically, under the Portal-to-Portal Act of 1947, employers may be able to rely on the Opinion Letters for their affirmative defenses and receive deference from the courts if they act “in good faith in conformity with” an Opinion Letter. This can be a challenge for employees’ attorneys to overcome. Additionally, although most beneficial to the employer requesting the Letter, any other employer can cite the Letter as a defense, provided its practice aligns with the material facts underlying the Letter. DOL’s longstanding practice of issuing Opinion Letters offering interpretive guidance under the FLSA was halted by the Obama Administration in 2009. Beginning in 2010, the DOL discontinued issuing Opinion Letters in favor of “Administrative Interpretations”—broader pronouncements of the DOL’s views on wage and hour issues, unlinked to a particular fact pattern. No. 2015-01: addressed the classification of independent contractors as employees under the FLSA, stating that “most workers are employees under the FLSA’s broad definitions,” essentially creating a presumption of employment for all workers. This Interpretation underscores the importance and level of scrutiny placed on employers to confirm that they are properly classifying workers. The withdrawal of these Interpretations signaled a major shift in wage and hour policy—away from heightened scrutiny of employers with respect to their classification of workers as employees and for determining joint employment with contractors and other related organizations. Later that month, the DOL announced it would return to the practice of issuing Opinion Letters to provide guidance to employers and employees on FLSA issues. The DOL also reissued 17 previously withdrawn Opinion Letters on a wide variety of topics under the FLSA. This shift strongly indicates that the Trump Administration favors less aggressive regulation and oversight of employers: reverting back to a process that largely serves employers’ interests—at the cost of employees’ wages. Although the DOL may recover back wages (either administratively or through court action) on behalf of employees that have been illegally underpaid in violation of the FLSA, the Trump DOL has shown that it cannot be trusted to uphold workers’ interests. Accordingly, an employee who believes his/her employer has violated the FLSA should seek guidance from an attorney practicing in this area. Attorneys at KCNF practice wage and hour law and have recovered tens of millions of dollars in unpaid work on behalf of employees. If you would like a telephone screening or consultation with a KCNF attorney, you are welcome to call 202-331-9260 to begin our intake process, or submit your legal issue to http://www.kcnlaw.com/Contact.shtml.